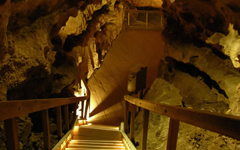 Engelbrecht Cave: the cave that runs under the streets of Mount Gambier. 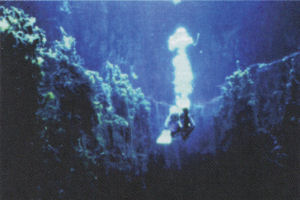 World- famous for it's fabulous diving holes and caverns. 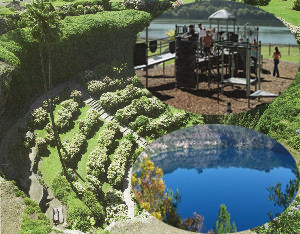 Umpherston Sinkhole, Blue Lake & Crater lakes are within a 3 kilometre radius of the park. Hand feed the possums and babies at night. 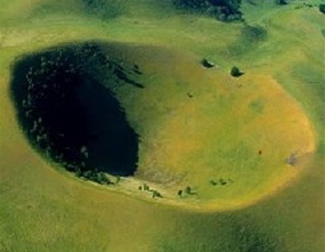 Visit and climb Mount Schank - a dormant volcano. Take a drive to Port MacDonnell, the home of the rock lobster fishing fleet and in season (October - May), treat yourself to some lobster. 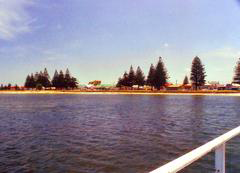 Diving and snorkelling available in Piccaninnie and Ewens ponds. Permits required. Lady Nelson Visitor's Centre located approx. 1 kilometre from the park. 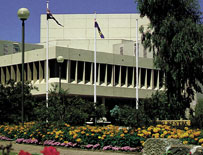 South Australian Hotel. Highly recommended worker's pub with pub-style food (3 minute walk). Mac's Hotel. Recommended for all age groups (less than 10 minute walk). RSL Mt Gambier (less than 10 minute walk). ... and many others all within close walking and driving proximity. Metro Bakery and Cafe. Highly recommended for good food and coffee (less than 10 minute walk). The Whistling Cat Cafe' . Highly recommended for good food and coffee. Right next door to The Book Place (secondhand books). Banana Tree Cafe and Terrace, Bahn Kubo, Wild Ginger Thai (all within 15 minute walk). Chicken Boss (1 minute walk), Domino's Pizza & other pizza restaurants (1 minute walk), fish and chips (1 minute walk), Indian & Chinese (1 minute walk). KFC, McDonald's and Hungry Jack's (all within 2 minute drive).